Wonder Woman is a 2017 American superhero film based on the DC Comics character of the same name. 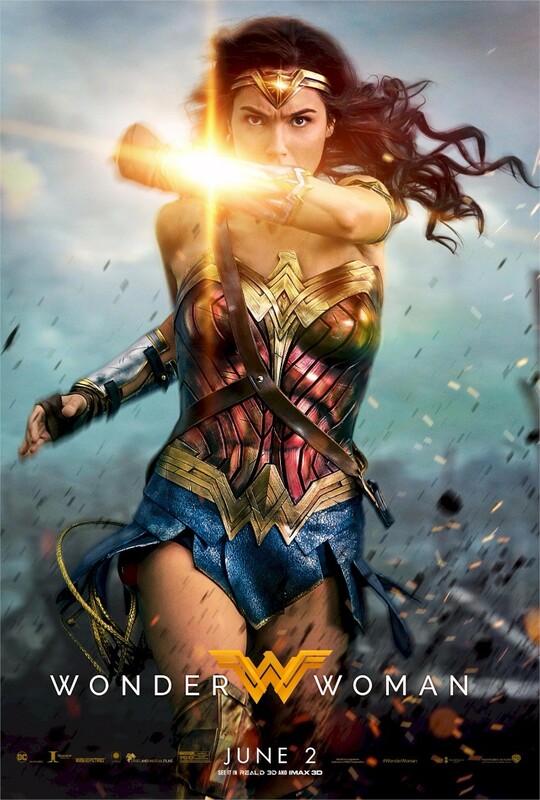 The film follows that the pilot Steve Trevor crashes on the island of Themyscira and tells Diana Prince about World War I, Diana leaves her home to try to stop the war and becomes Wonder Woman. The final official poster as shown above uses the font Raleway Regular for the film title but we also see some alternate posters use the font Futura. Raleway is an elegant headline sans-serif designed by Matt McInerney as a single thin weight and was later expanded into a 9 weight family by Pablo Impallari and Rodrigo Fuenzalida. Raleway is licensed under the SIL Open Font License and you can download the full font family here. For the font used for the film title as seen in the official trailer, it is very similar to Liberty, an all-capital inscribed serif font by Andrew Newton. If you do not want to download and install the font but just like to create simple text or logos using Wonder Woman Font, just use the text generator below. The following tool will convert your entered text into images using Wonder Woman Font, and then you can right-click on the image to save it or click on the "EMBED" button to get links to embed images on the web.